Cute, but deadly. AVAST minions fight Grime! 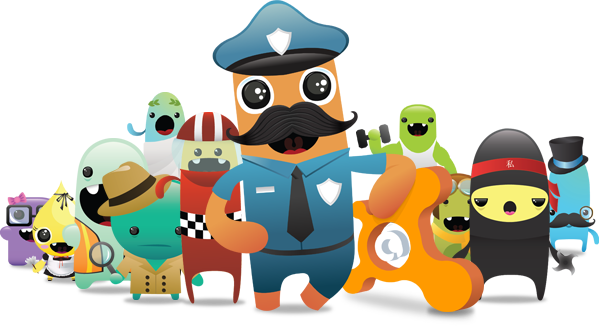 They might look like funny characters from an animated movie, but the avast! GrimeFighter minions are a deadly force against the grime that accumulates in your computer over time. This crack team of animated minions brings AVAST users new technology that speeds, tunes up, and extends the lifespans of PCs. avast! GrimeFighter is being launched officially today in 14 languages. Officer Pete, a police officer with an over-sized mustache leads the team. Other minions with names like Zilch, Torque and Dale Jumpshot, Jr. wipe browser caches, look for hardware problems, analyze your Internet speed, and disable bloatware, such as unnecessary programs and software that may have been pre-installed. Collaboratively, the other minions examine security settings of popular applications and wireless networks, analyze the PC’s memory, hard drive, CPU and files to provide the user with a report at the end of the scan. The report is straightforward, with an option of viewing more detailed results. You can scan your PC for free using avast! GrimeFighter, then pay for removal of the Grime reported. avast! 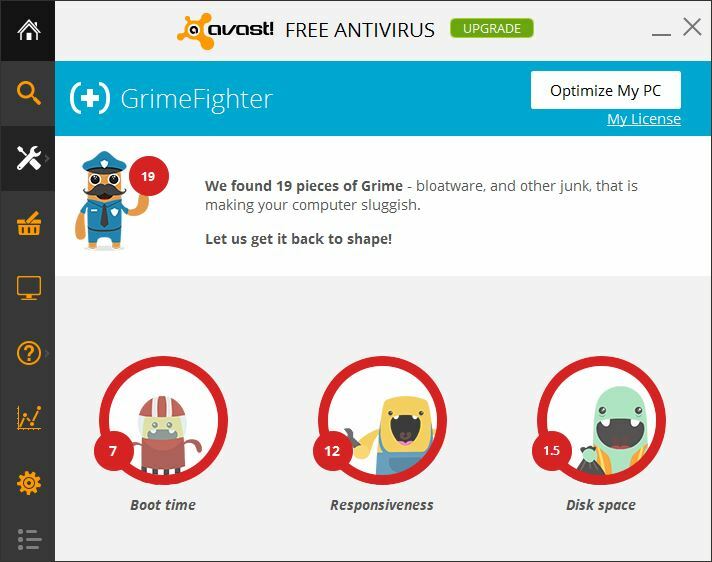 GrimeFighter is available as a feature in avast! Antivirus 2014 and also as a standalone application. If you don’t have avast! Antivirus 2014, you can download it for free or purchase it from the AVAST website. People investing in avast! GrimeFighter to make their PCs run like new again will see instant performance increases that prolong the life of their computers.